Sometimes it’s nice to be able to finish that morning cup of tea before it gets cold. This week I actually got that chance. 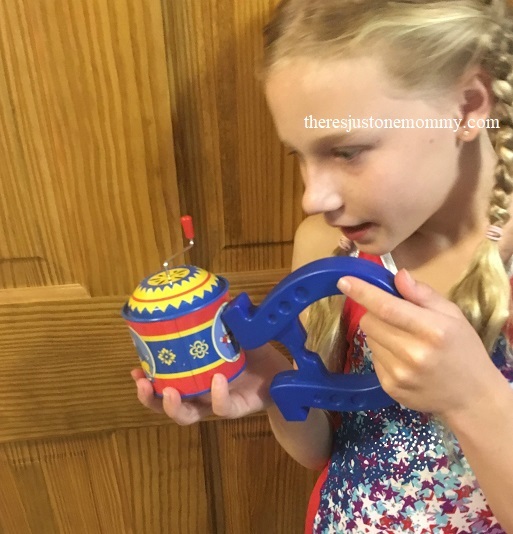 This simple hands-on learning activity with magnets kept the kids busy exploring and learning about magnetism for over an hour. I even got to enjoy a second cup of tea in that time. To set up your magnet activity, you will need a large, shallow plastic container and a magnet. We love these magnets because they are easy for small hands to hold. Put a variety of metal objects (and maybe a few that aren’t metal) into the container. 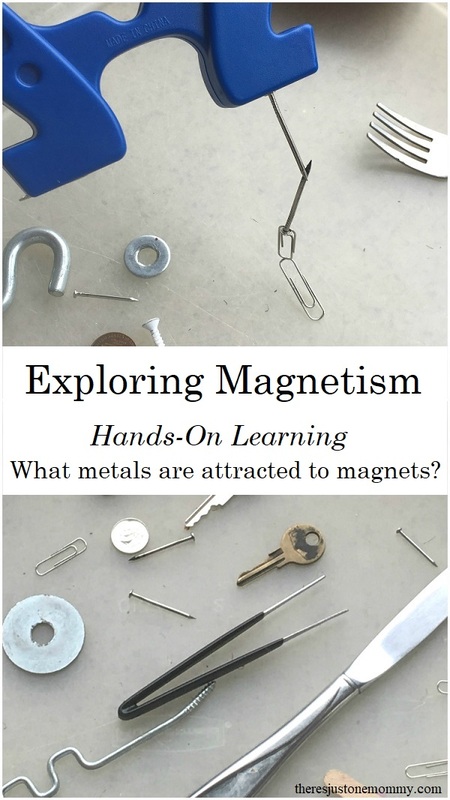 As the kids start exploring what objects are magnetic, have them group the items into 2 groups, one that contains all the items that are attracted to the magnet, and one group that isn’t. What metals did the magnet attract? As they’ve discovered, only certain metals are magnetic, or attracted to a magnet. These metals are iron, cobalt, nickel, and steel. (Steel is actually a blend of materials that includes iron and carbon.) The objects in your exploration are most likely steel or iron. For even more fun, we used the magnet to make a chain of nails and paper clips, trying to see how long we could make the chain. To do this, simply pick up a nail or paper clip with the magnet and then touch that paper clip/magnet to another one…and keep going. 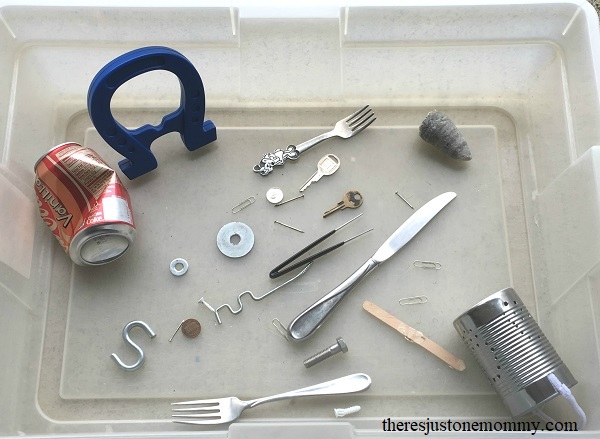 Once the kids are finished exploring all the objects in the bin, send them on a scavenger hunt to find more objects that are attracted to magnets. You might even be able to drink a second cup of tea while it’s still hot! 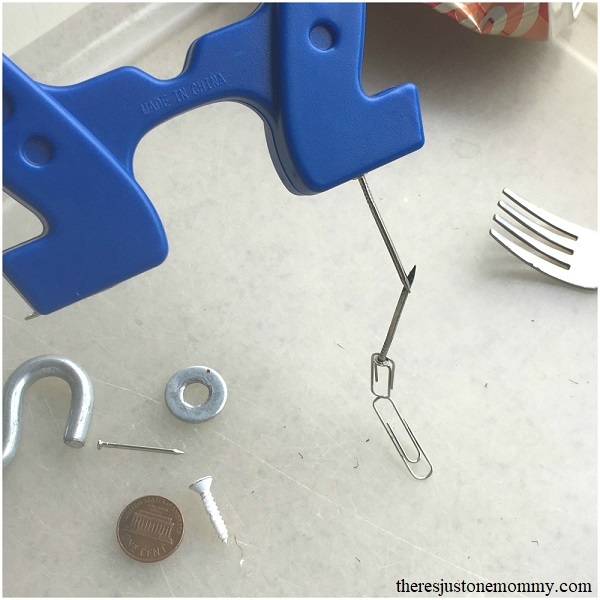 Free Magnet Worksheet from The Measured Mom — Perfect for younger kids! Get more hands-on activities like this one delivered to your email twice a month.